We specialise in all types of outdoor catering; from small fund-raising events to major corporate lunches. 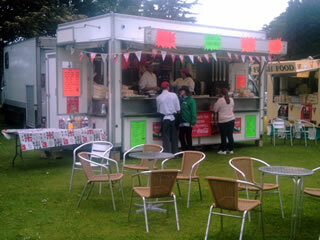 Using a wide selection of foods we also include ice-cream, popcorn and candy floss. Health & Hygiene certificate 5 Star. 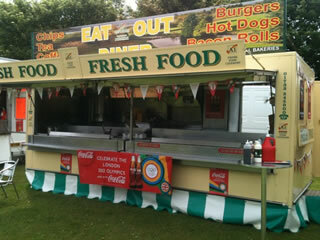 Hot fresh food: burgers, hot dogs, bacon rolls & chips. 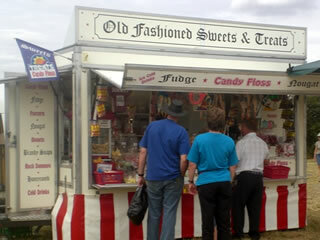 Old fashioned sweets and treats: fudge, candy floss, nougat, sweets, brandy snaps and honeycomb. 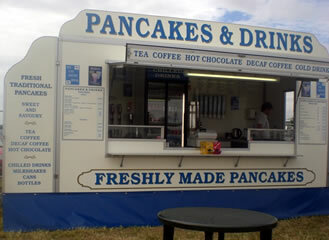 Fresh traditional food & drinks: pancakes, sweet & savory foods, teas/coffee/decaffeinated coffee/hot chocolate, chilled drinks & milkshakes.